Can you imagine how many mugs a school teacher must collect throughout her career? Instead of giving her yet another coffee cup, give a gift from the heart. Teachers tell us about their favorite heartfelt end-of-year gifts they've received from their students. You may think that your kids' teachers would tire of hand-print wreaths and other homemade gifts that they receive throughout the year. But it turns out that the heartfelt and homemade gifts are the most special to teachers. "I love thoughtful handmade gifts. I received two very special gifts in the last couple of years that I will treasure for the rest of my life. The first gift was a set of two plaques that had the names of my students from a speech class etched around the edges and a poem one of the students wrote about their success learning to speak in my class," says Paula U., an associate professor of communication at a community college. The student said he wanted me to have the pot with the slight crack in the lid because he thought it would be the best way to remember him — someone with imperfections but with great potential. "The second gift was a hand-thrown pot and lid that a student gave me last year. The lid has a slight crack in it. The student said he wanted me to have the pot with the slight crack in the lid because he thought it would be the best way to remember him — someone with imperfections but with great potential. He said I had helped him realize his potential. I rarely am moved to the point of tears, but those two gifts have touched me more deeply than just about anything else I have received over the past 20 years of teaching." Shannon G. of Cave Creek, Arizona, says, "One of the gifts I loved the most was simple — a beach towel, a mindless magazine, a Starbucks [gift] card and a new water bottle. [It] made me happy that summer had arrived!" Mel H., who runs her own multi-age preschool in Phoenix, Arizona, also loves summer-themed gifts. 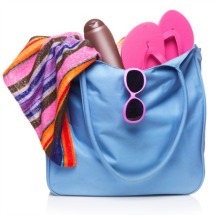 She says, "I loved the year my class gave me a beach bag with all the summer essentials. With that, I was gifted two nights at the Marriott Marquis on San Diego Bay. One of my families had a great deal of Marriott points. It was a fabulous time." Mel adds, "The letters mean the world to me. I still have my end-of-the-year letters." Nicole T., fifth grade teacher and travel blogger in Boston, says, "Candy is always a great present to give because I can enjoy it that same day. I love receiving gift cards from the kids, as they really do come in handy [such as a] gift card to Dunkin' Donuts to get some coffee on the way to school or a gift card to Walmart or Staples to help me purchase school supplies for the next year. I love receiving handwritten cards from my students along with their gift because they always say the cutest things in them." To this day, Gayle C., of Phoenix, Arizona, also treasures the cards given to her by her former students. She says, "I have received many cards signed by each student in the group, with endearing statements about the experience." She adds that even though gift giving from nursing students to instructors is no longer allowed she enjoyed the personal touches her students showed through their gifting including a clipboard with her name engraved on it, a drink container with a photo of her and her students enclosed within and a T-shirt hand-signed and decorated with fabric paint by all the students. Teachers, your students are listening after all. At least according to Julie C., Ed.D., a teacher for 30-plus years and author of Dreams to Action Trailblazer's Guide, who received an odd gift of a plastic case filled with nail care tools such as clippers from one of her students one year. She says, "It wasn't anything I thought I needed or wanted until Ryan, one of my students, said, 'They're for your guitar case.' Almost a month earlier, I stood in the wings of a stage, about to lead a sing-along for students. I snapped my fingernail on one of the guitar's strings as I warmed up. 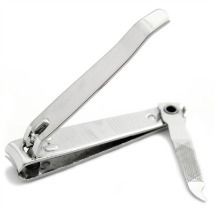 'I wish I had a set of fingernail clippers in my guitar case,' I said to no one in particular. I was not aware that Ryan [was standing] right behind me. He remembered." Jonathan E., fifth grade teacher from San Francisco, California, also holds a meaningful end-of-year gift close to his heart. He says, "I'm a Brit that moved over to the U.S. in the late '90s and reminisced to my students about my days watching Eddie Stobart trucks with my parents when I was younger. It's a British thing — they're a really popular logistics company and their trucks are really distinctive. So it was a pretty emotional moment for me when last year's students presented me with a model Eddie Stobart truck the last week before summer. I've never gotten anything that thoughtful from a group of students before."